Several city governments are framing parking policy and rules to reduce parking pressure and congestion on roads and public spaces to make cities more livable. 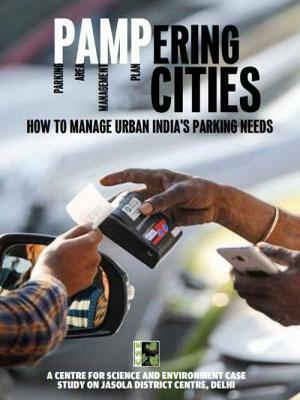 Among them Delhi, Chandigarh, Pune, Hyderabad and Bengaluru have taken the lead. Their challenge is to design parking rules that balance the need to provide parking with efforts to reduce the overall demand for parking. Conventional parking policy aims to increase parking supply infinitely by earmarking public land for parking, constructing multi-level parking structures, and mandating all buildings to have a minimum number of parking slots. The underlying assumption is that the demand for parking will continue to grow with motorization, therefore, adequate parking spaces will have to be set aside to meet this growing demand.